A stunningly sensuous novel from the bestselling John Updike, published as a Penguin Essential for the first time. Owen Mackenzie's life story abounds with sin and seduction, domesticity and debauchery. His marriage to his college sweetheart is quickly followed by his first betrayal and he embarks upon a series of affairs. His pursuit of happiness, in a succession of small towns from Pennsylvania to Massachusetts, brings him to the edge of chaos, from which he is saved by a rescue that carries its own fatal price. 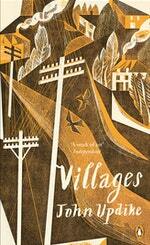 Love Villages? Subscribe to Read More to find out about similar books.